At the end of September, I went to Milan for a special event with Marina Rinaldi. 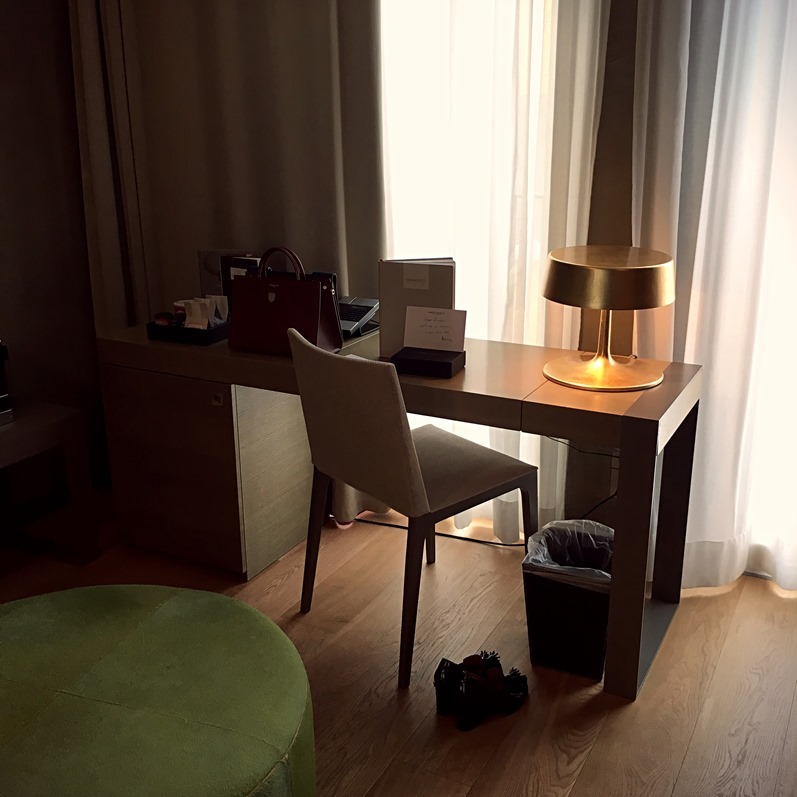 For this occasion, I was invited to stay one night at the “Rosa Grand”, a hotel of the Starhotels group. 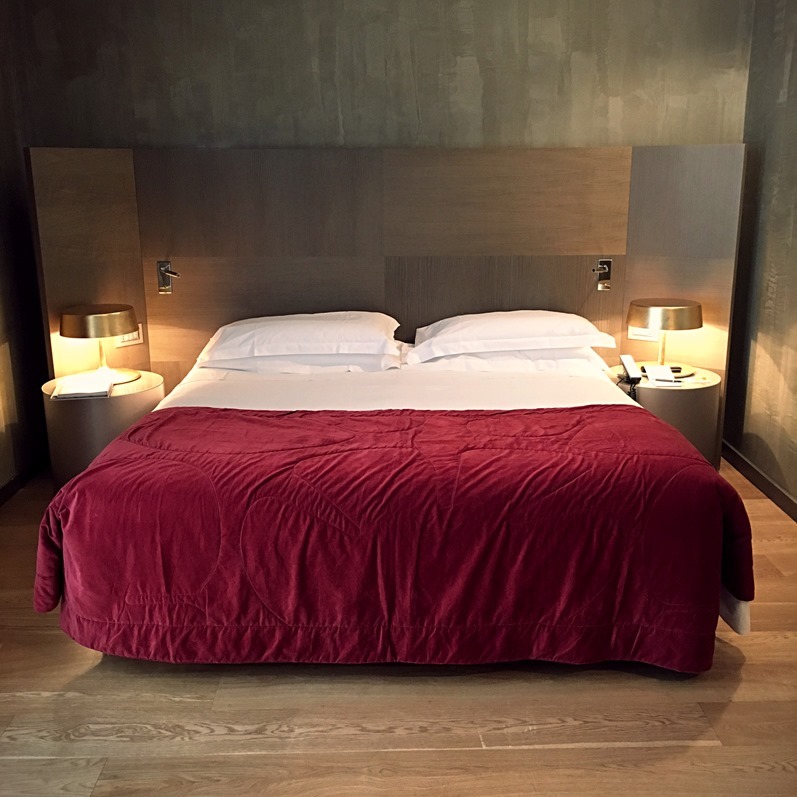 Unfortunately, it was only a very short stay, but it was very pleasant – that’s why I’m sharing my impressions and a few thoughts about it with you. 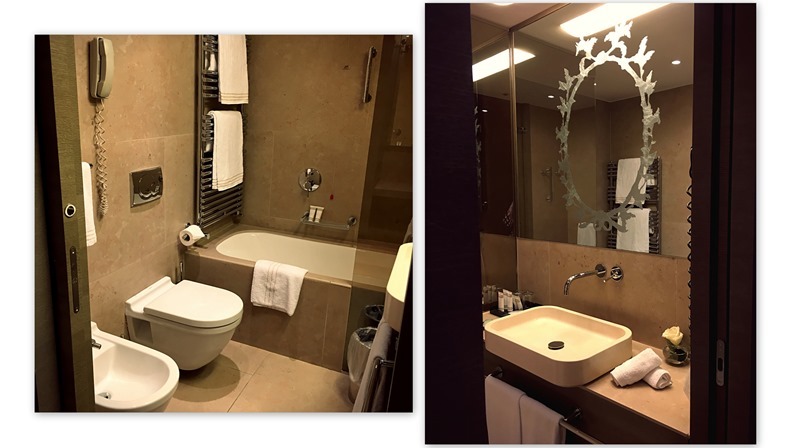 The hotel itself is very luxurious and classy. I love the interior and also the service was friendly and very accommodating. 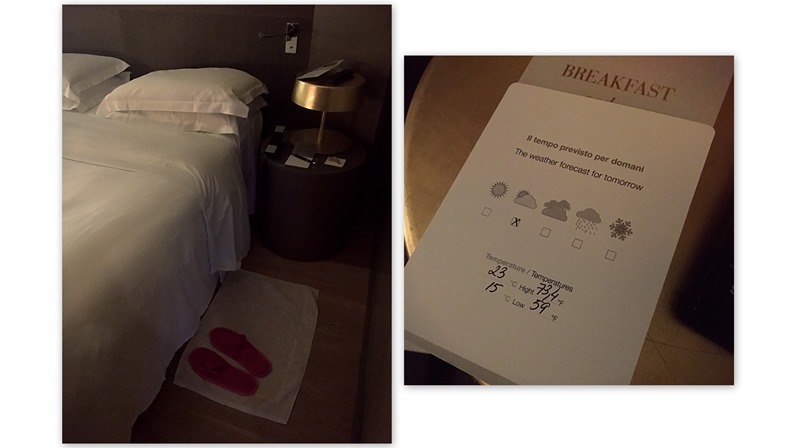 There were some tiny details in my room when I came back from the event at night, which I really liked – my bed had been prepared so I could just fall into it, the bathroom was ready for me to take a shower before sleeping and a cute little detail was on my bedside table: a weather forecast for the next day. 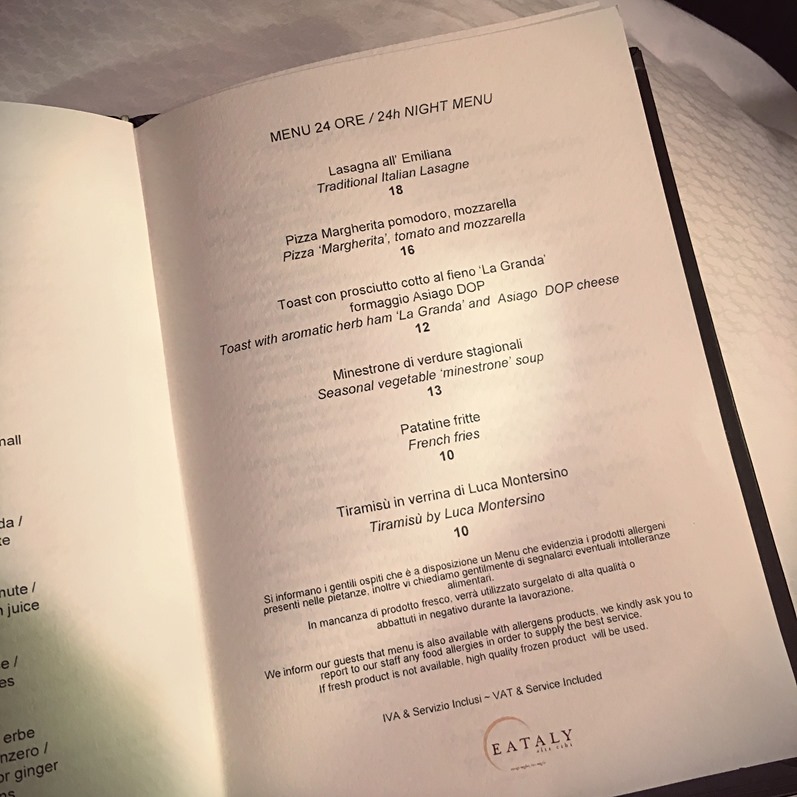 Of course, the hotel offers all services you know, like in-room dining and breakfast (and I’m also very sad that I skipped breakfast because I decided to have some ice cream before I leave and I’m seriously not a morning person when it comes to early eating…). 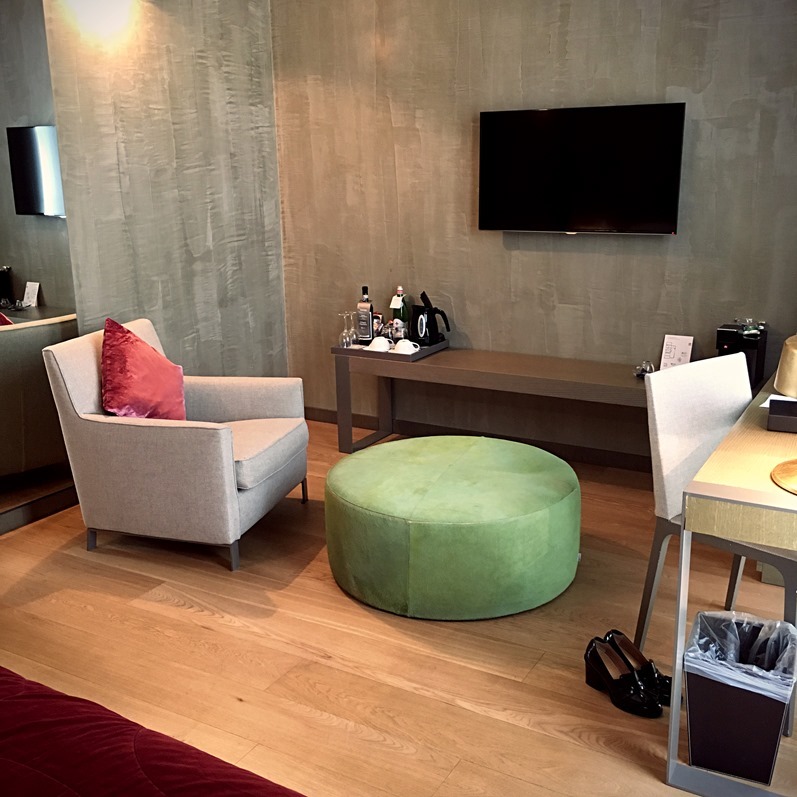 The rooms were clean and tidy, the interior very simple but stylish and classy, there was a mini bar with the possibility to make coffee and tea and a bottle of free water. 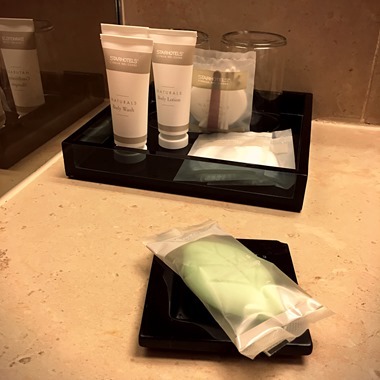 The hotel’s own beauty products (hygienic packaging!) 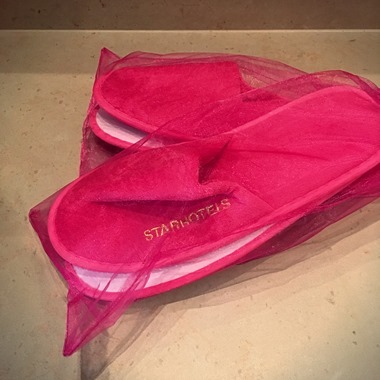 and pink slippers! 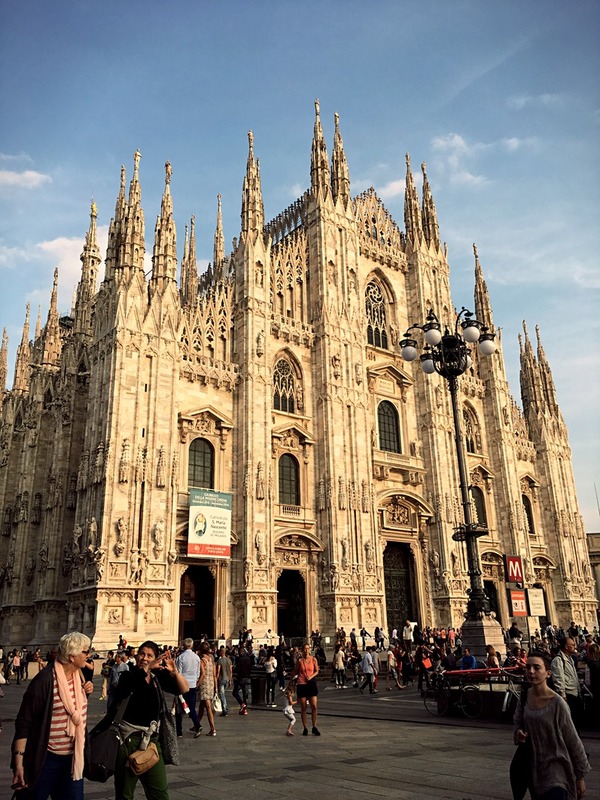 Only a minute to walk and just around the corner: Il Duomo di Milano – breathtaking! 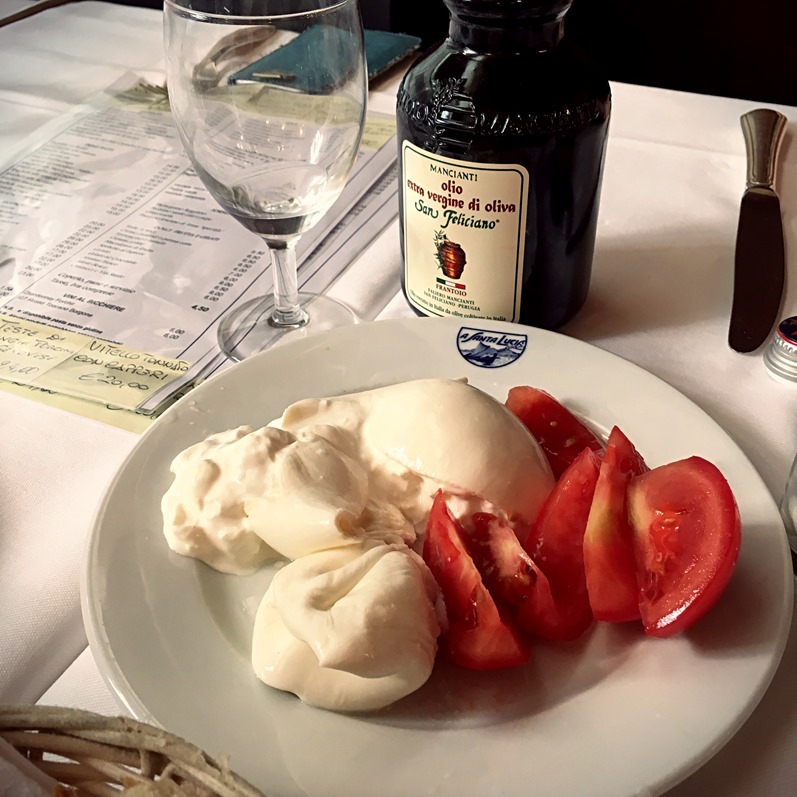 Not Instagram-worthy (or rather: no #foodporn pic) but a super delicious burrata with fresh tomatoes (I also had “Vitello Tonnato” and it was perfect!) 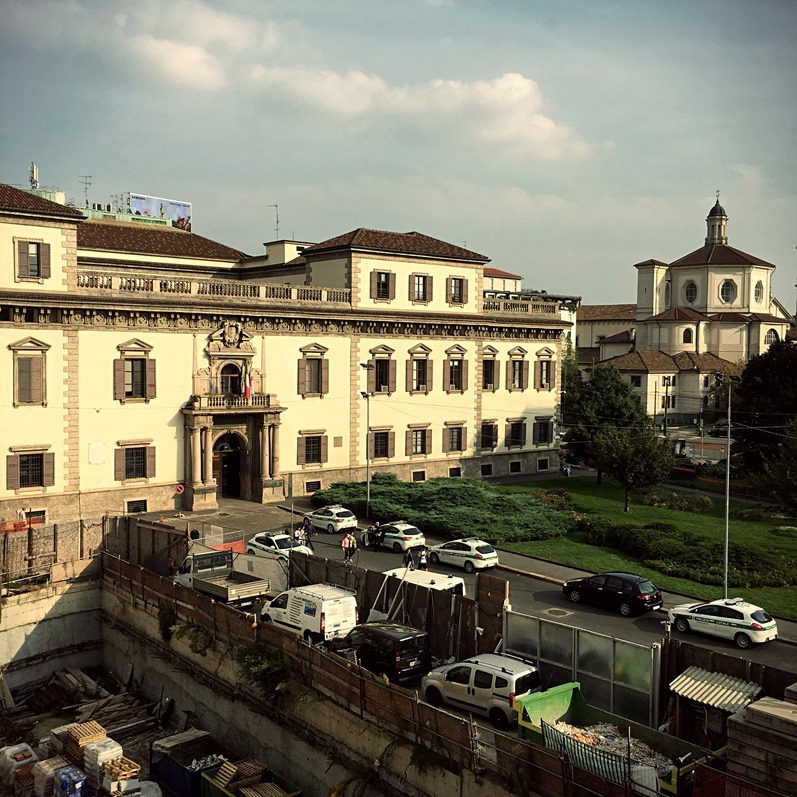 – lunch at “A Santa Lucia” (Via San Pietro Allorto 3), a very traditional Italian restaurant! 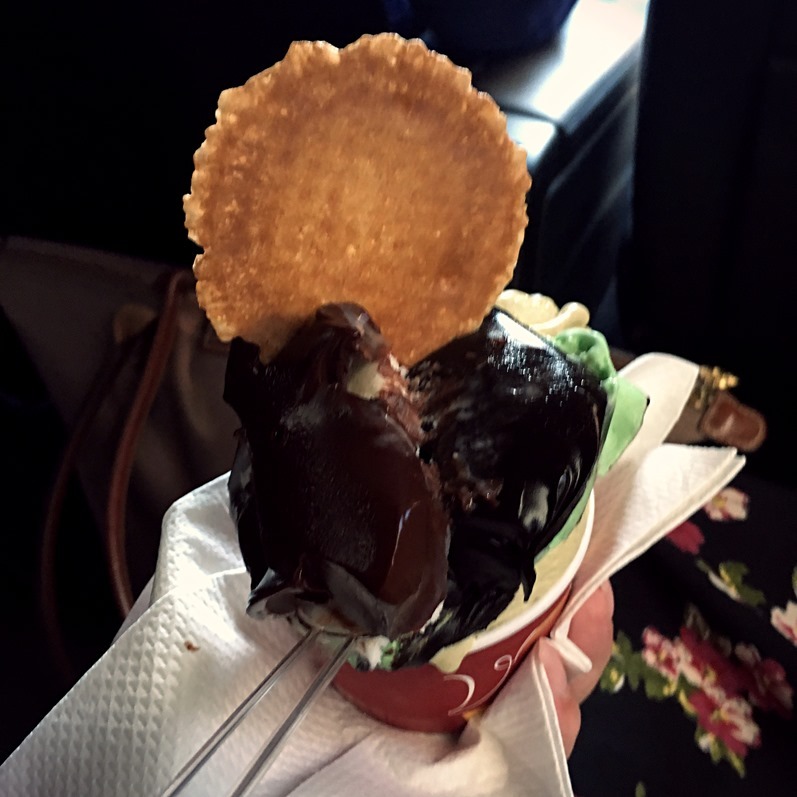 And here’s my ice cream tip (photographed too fast in the taxi, so please excuse the blurred picture): “Vanilla Gelati Italiani” (Via Pattari 2) – I guess I was the first customer that morning and that’s why you see nothing but pure chocolate in my photo. Their ice cream (not all of it) is covered with thick chocolate cream! So if you’re one of the first customers, you’ll get some delicious chocolate with your ice cream – yay! But the ice cream itself was also absolutely delicious! My favorite is “pistacchio” and it was super creamy and had a very natural taste. Aw, how I miss Italian ice cream – there’s nothing better! 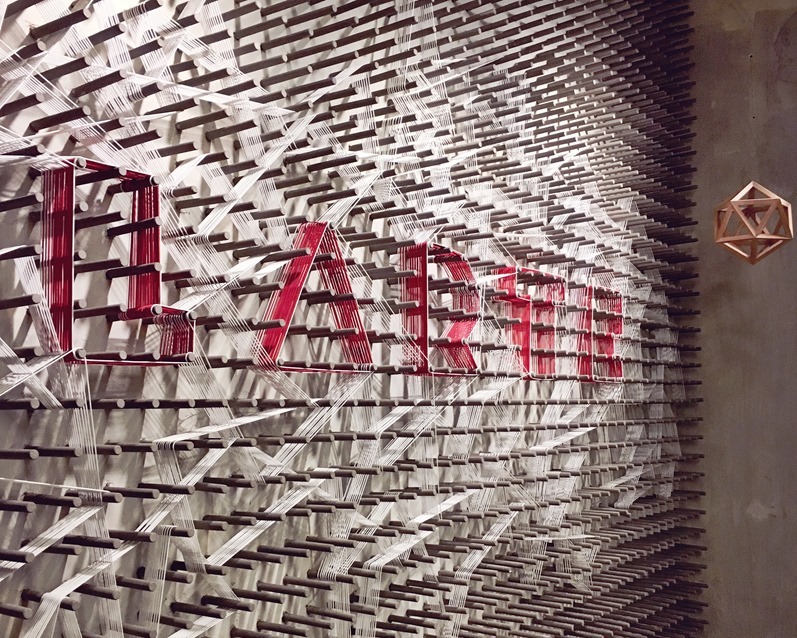 And a last tip for dinner – “Larte Milano” (Via Alessandro Manzoni 5) – I’m thinking about writing an extra post about the restaurant because it was so delicious. We had dinner with the Marina Rinaldi “family” there and it was absolutely great. The food was creative yet traditional and so, so good – definitely worth a visit!